Not just another grocery store | Real in L.A.
There’s a grocery store in Glassell Park that I think of as existing on the boundary between Mexico and Armenia. 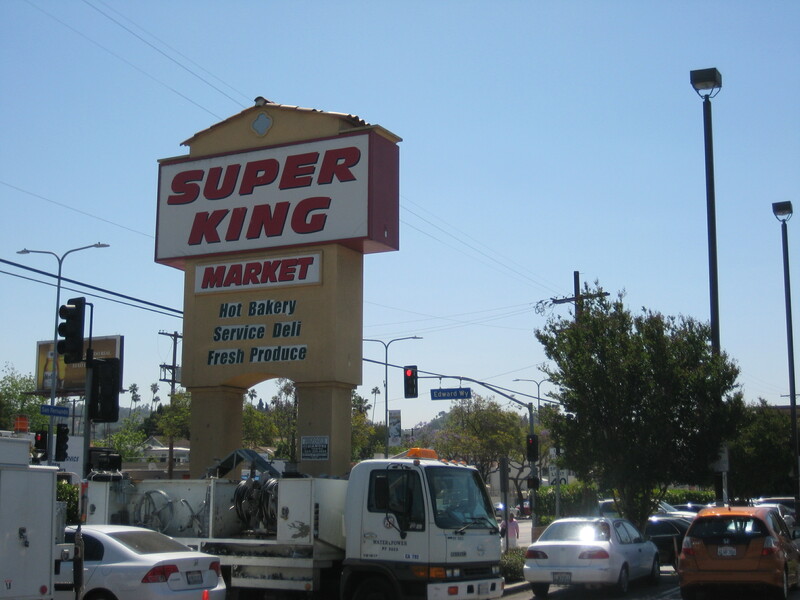 Just off the 2 freeway on San Fernando Road, Super King is where you shop if a) you want “ethnic” foods that few stores stock and b) you have to feed a lot of people on little money and c) you believe meals don’t come from a box, can, or freezer compartment but from hours in a kitchen and d) standing in line is a way of life and e) you believe reusable shopping bags are optional. Super King is never not busy. I’ve driven by at 8:20 a.m.–the store opens at 8– and not only are cars streaming into the lot, shoppers with stuffed plastic sacks wait at the curb for MTA buses that will take them home. Shopping begins before entering the store. Outside the entrance, bins the size of Rhode Island hold bargain-priced produce: oranges or corn or watermelons or whatever else is in oversupply. Before shopping, however, you have to find a cart to put your stuff in. 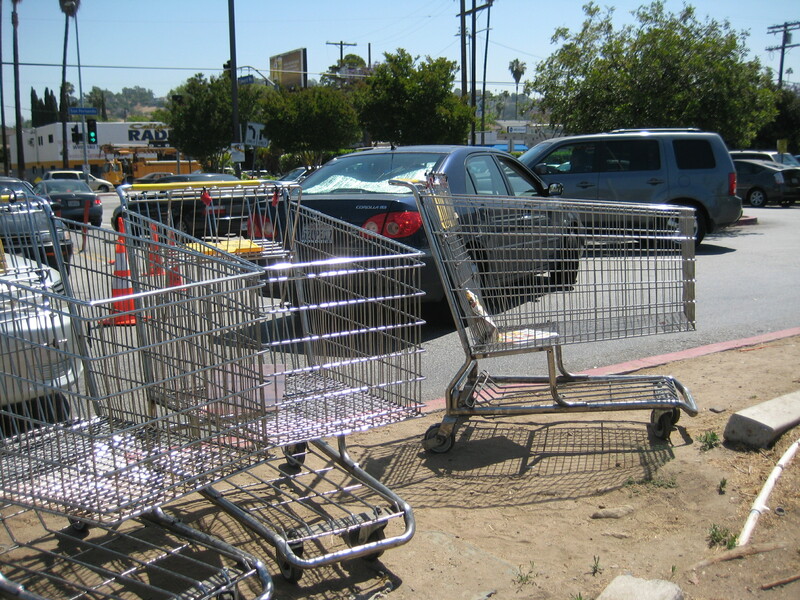 Few shoppers return carts to the front of the store or even to satellite holding pens; they’re left . . . wherever. Once you corral a cart–and they’re BIG ones–you have to fight your way inside the store and through the crowded aisles. I quickly learned that WASP-y behavior doesn’t get you very far at Super King. No one–and I mean NO ONE–gives way. The massive produce section (where nothing is pre-packaged and digging through an entire pile of plums to find the absolute best is A-OK) could house an entire Fresh & Easy store. 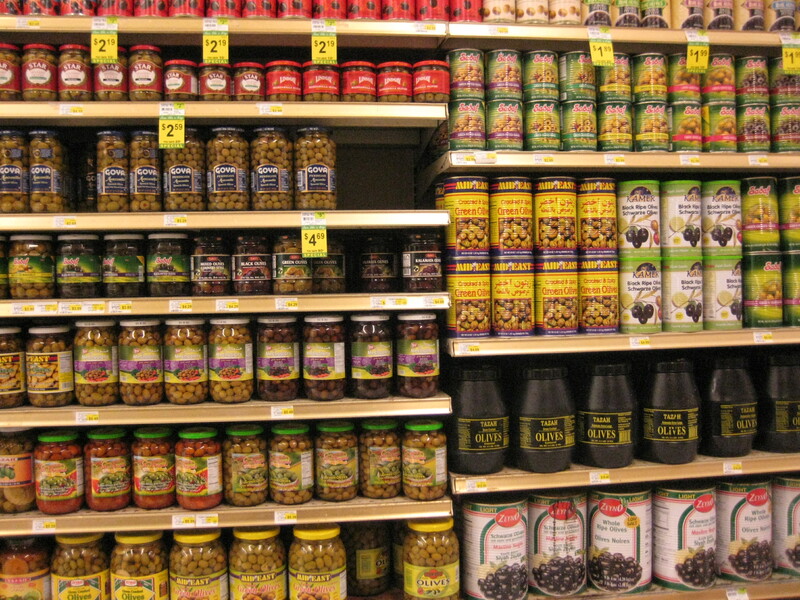 Items barely represented at Ralph’s or Von’s–Russian pickles, Armenian relishes, two kilo plastic barrels of Kalamata olives–occupy extended shelf space. They bear labels printed in Bulgaria, Romania, Turkey, Lebanon, and the West Bank. You’ll find coffee at Super King, but tea rules: the store had enough pressure-packed, one-pound bricks of green, black, and fruit infused tea to rebuild the Berlin Wall. 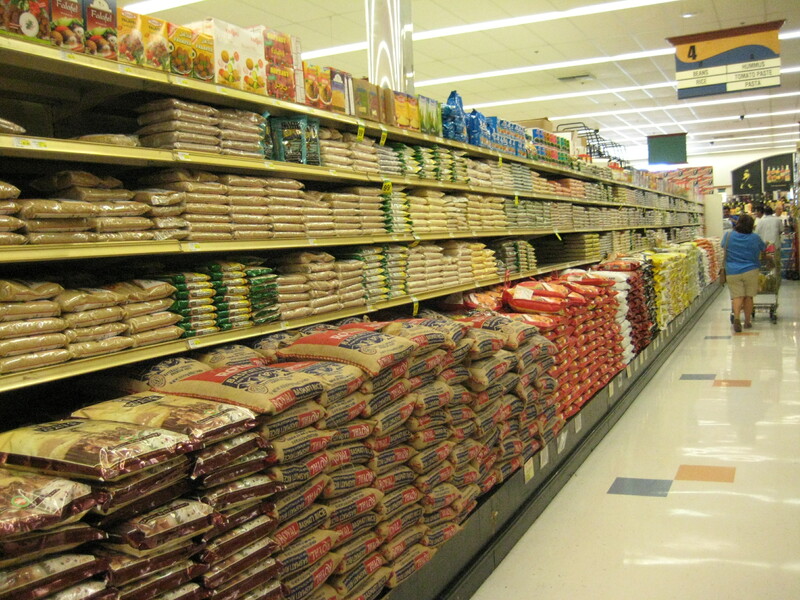 And then there’s rice: 10 and 25 pound bags of the stuff stretch for entire aisle. Ditto bags of beans, peas and lentils. At the deli counter you can buy eight different nationalities of feta and salamis from every country east of the Danube. Fish, poultry, meats, baked goods, nuts & dried fruits each have their own counter: take a number and stand in line. You want baklava? Halva? A tamale steamer? It’s there. As are modest quantities of standard items like orange juice, paper towels, and breakfast cereals. Your cart of goods will be rung up with dispatch by a bored-looking woman named Nare or Milena or Anahit, though there might be some more of that waiting in line business to get through first. Exit past the water-pipes, lottery tickets, and security guards, then watch out for in-coming cars as you cross the parking lot. And your cart? Do something radical: Put it where it belongs. You are currently reading Not just another grocery store at Real in L.A..